Currently, there are two sources of info on Voidshatter, though they’re all still in development, to a large extent. Most of the information is seated firmly within the depths of the creator's cryptid brain, and won’t be shown to the public until much later in the development of the actual story, to avoid spoilers. Dr. Wing Ding ‘Gaster’ Aster is alive and well, though he was not always so. The Aster family has secrets and scandal that cause rife tension between the brothers. One such secret has been revealed as Sans having 'killed' Gaster as a child. For more information, check the story! 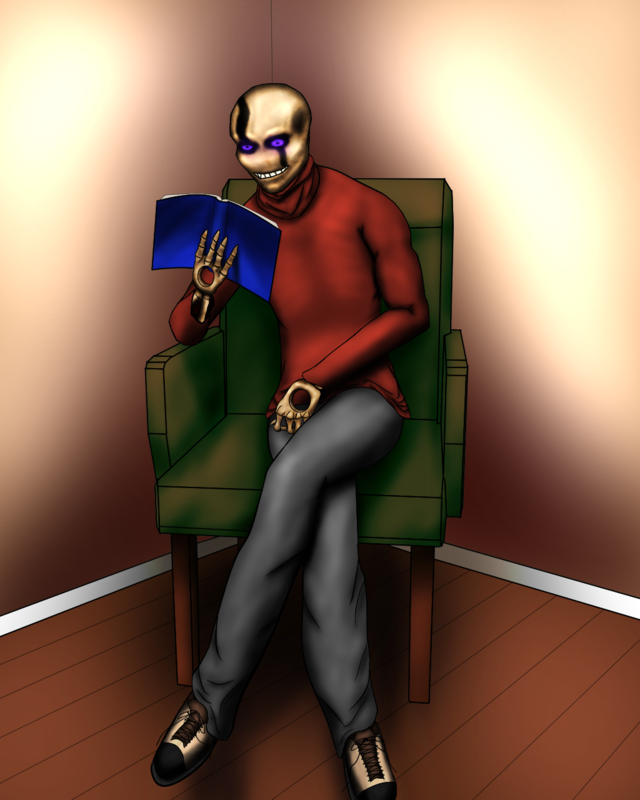 Sans and Papyrus are Gaster’s sons. They were both present when Gaster fell into the Core. Both were altered physically and mentally by the event. Both Sans and Gaster are Judges, as Gaster had the job before he disappeared. Sans took over once he reached adulthood. However, both now have it, as the job is taken for life, as are the abilities it comes with. Papyrus is in the Royal Guard, serving as Undyne’s second in command. Undyne refers to Sans and Papyrus primarily by her nicknames for them, ‘Sanster’ and ‘Papster’, owing to their last names being Aster. 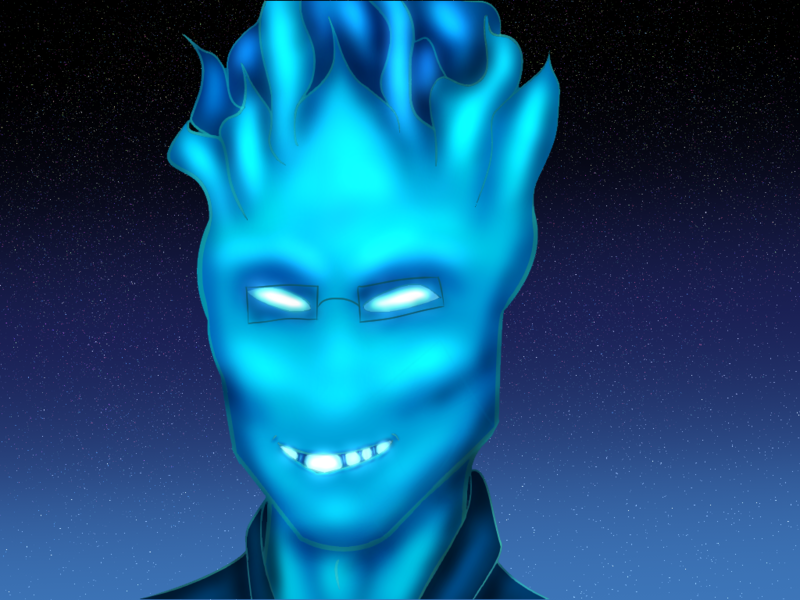 Grillby is made of blue flame and blushes white. He is the most powerful Boss monster currently in existence. His last name is Immix, which means ‘to blend’. Like Lava is a whole lot of things burning and blending together to create molten goo. Grillby was also the General of Asgore’s army, during the war. Boss monsters are rated on a scale of 1-10. A Tier 1 Boss monster has a few extra skills that their monster type wouldn’t normally have, such as a heightened healing ability, or the ability to lure someone to sleep with a song (Just examples). Tier 10 Boss monsters would be god-like—Think Monster who’s absorbed a human soul—and truly a force to be reckoned with. Reader’s soul is lavender. Her aspects are Knowledge, Gentleness, and Love. Stats are pretty different in this AU, but are simplified from the original. LV (LoVe), HP (HoPe), and all the other stats are different in this AU and mean different things. LoVe: your LoVe is literally the number of people (monster or human) that you’ve killed, participated in the deaths of, or contributed to killing. Your LoVe is your kill count, no matter whether you killed them directly, or were simply complicit in their death. Having a high LoVe does not mean you’re a genocidal maniac. It does mean you’re a person to be respected, or feared, depending on how you got that LoVe. HoPe is partially based on LoVe, however, it is mostly based on how much actual hope you have; what your outlook is on life. If you have low LoVe, but high HoPe, then you have a very positive spirit. Think Classic Papyrus, or Underswap Sans (Blueberry). In Voidshatter, they would both have extremely high HoPe, regardless of only having 1 LoVe. Attack and Defense are both based almost entirely on what a monster has trained themselves to dish out and withstand. The monster type also has a bit of influence, but nowhere near as much. If you were to check say, Monster Kid’s stats, he’d have extremely low Attack and Defense, possibly even zero on both, unless he had default defenses from his monster type. The upright hearts are the human souls, the upside-down hearts are the monster equivalent of the same aspect/trait. This universe is still subject to the rule that normal, non-boss monster souls are colorless. However, all monster souls do have a primary, secondary, and tertiary aspect, which designates what kinds of magic a monster will have. The trait color of the magic the monster is currently using will shine within the soul of the monster for the duration of the cast. Most of this is thrown out the window for Boss monsters, who do have actual color in their souls. Soul aspects/traits can be corrupted. More on this later, as the story progresses and this info is revealed. Soulmates are very much an integral part of this AU. The soulmate trope plays an incredibly important role in this story and universe as a whole. So if you like soulmates, stick around. YES, monsters can have determination. It’s just rare as hell. As in, only one born with it as a primary aspect every few centuries rare. And it’s only for Boss type monsters. Female, unnamed, not described other than height being slightly less than Sans. Author and artist; agent's name is Carl. Lives alone in her apartment. Introvert, socially anxious, bad nightmares, occasional intrusive thoughts, unknown (Thus far) past. Hints to some form of past trauma, but nothing concise, yet. Only child. Royal Scientist, Judge, father of Sans and Papyrus Aster. Eccentric, energetic, brilliant... clumsy, polite to a fault, but quite blissfully unaware of personal space, including his own. He did indeed spend quite a few years in The Spine of The Universe (The Core Void), but is now a resident of this plane, though it is unclear how he escaped. Assistant to the Royal Scientist, Judge. Definite sci-fi nut. Extremely fond of using the 'science' found in sci-fi shows to explain how magic works. Has a great fondness for Ranch dressing (Prefers Hidden Valley brand or homemade, but he'll take anything, long as it's not sweet.) and Grillby's cheese fries. Enjoys and employs puns in his everyday conversations, however, is nowhere near as 'punny' as his Classic Undertale counterpart. Sans is hiding dark secrets which only his brother and close friends seem privy to. Second-in-command of the Royal Guard. Boyfriend of Mettaton. Absolute nerd for animation, whether claymation, CGI, or stop-motion. Has a grudge against his brother for 'killing' their father, which leads to him treating Sans rather poorly, despite still being every bit as protective of Sans against others as any Papyrus. 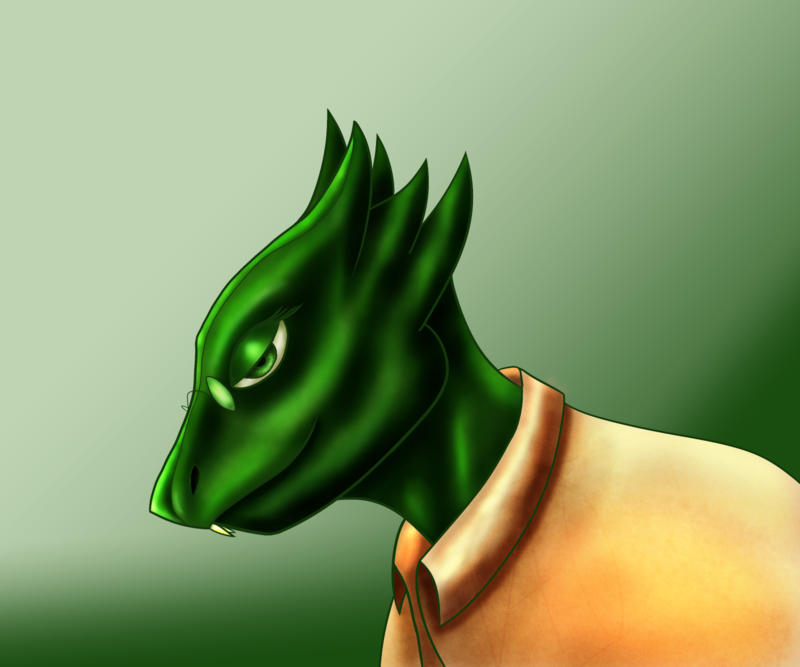 The monsters that know the Asters well do not approve of Pap's behavior but do not attempt to stop him either, believing he has the right to treat his brother as he does, even if they do not approve. Proprietor of Grillby's, Retired General of His Highness, King Asgore's army. Much more talkative than his Classic Undertale counterpart. Quite suave and gentlemanly. Prides himself on dressing quite finely, for the sake of representing his business well. The most powerful monster currently in existence. Captain of the Royal Guard. The Royal Guard now primarily protects the entire Dreemurr family from outside threats of all kinds, including paparazzi. Undyne knows anime is not real, but still quite happily watches it with her mate on her off-time, between running near-daily with Reader, Papyrus, and occasionally Sans. Former Royal Scientist, now Assistant to the Royal Scientist, under the supervision of Doctor Sans Aster. Her forest green face can be found in the dictionary, as one of the definitions of 'fan girl'. When she's not improving tech with magic in the lab, she's nerding out with her wife and whichever of her friends will join them for anime nights. She also writes several 'friend fictions' and has produced several mangas based on them over the years, which are of surprisingly good quality.